Much of the gasoline sold throughout the United States contains ethanol. The maximum ethanol content allowed by law for use in outdoor power equipment is limited to 10% (E10). Make sure the gasoline you purchase for your outdoor power equipment contains no more than 10% ethanol. If the filling station pump is not labeled with the ethanol content, ask the station attendant what percentage of ethanol is in the gasoline. Ethanol can dissolve varnish and gum deposits that have previously formed inside fuel storage cans or the equipment’s engine. When these deposits become dislodged, they can mix with the fuel and plug small openings and filters within the fuel system. Ethanol attracts and mixes with moisture in the air, causing corrosion to metal components in the fuel system. If enough water is absorbed, the ethanol and water will settle out of the gasoline blend and settle to the bottom of the equipment’s tank. The layer of gasoline left floating on top has a lower octane level than the original ethanol gasoline blend, which can result in unstable engine operation, power loss and major engine failures. Since the fuel is often drawn from the bottom of the fuel tank, the engine is drawing in a mixture of ethanol and water with no gasoline and no lubricating oil. This ethanol/water mix is thicker than gasoline and cannot easily pass through the fuel system. This can result in hard starting, unsafe high idle speeds, stalling, and can ultimately lead to engine damage or fuel system failure. If the proper precautions are taken, gasoline containing a 10% quantity of ethanol can safely be used in your STIHL products. Use a minimum of 89 octane gasoline and always use fresh fuel. Only buy enough gasoline that you can easily use up within a two-month period or use a specially formulated fuel mixture like STIHL MotoMix® Premixed Fuel. STIHL MotoMix® is a high-grade, high-octane, ethanol-free premixed fuel containing STIHL HP Ultra synthetic oil. It is a pure and stable fuel mixture that can be stored for up to two years in the original container and is ideal for machines that are used infrequently. For air-cooled, two-cycle engines, use a quality mix oil that meets the engine manufacturer’s recommendations. All STIHL oils are designed to readily mix with gasoline containing 10% ethanol. Properly store your equipment. If your equipment is not going to be used for a couple of months, the remaining gasoline in the machine should be drained from the tank and disposed of properly. To ensure that any remaining ethanol is removed from your equipment, STIHL recommends adding a small amount of STIHL MotoMix® Premixed Fuel to the tank and running the engine for a few minutes to circulate the fuel through the carburetor. Equipment should be serviced regularly by your STIHL Dealer. Items such as fuel filters, fuel lines, carburetor diaphragms and spark plugs should be checked and replaced if necessary as part of a normal engine tune-up. Once the water is at the desired level, add Bioguard’s algecide 28-40, polysheen blue, as recommended by your pool care professional and shock the pool. We at Bennington Pools are proud to use the state of the art water testing system by Bioguard. Bring in a water sample to have it tested. –The average thirty minute pool workout burns approximately 300 calories. It takes the elimintaion of 3500 calories to burn off a pound of body fat. Three to Four weeks of swimming will result in measurable weight loss. –Pool workouts are a great way to build up cardio endurance. When in cooler water, the blood moves through the body at a faster rate to warm it up. –Unlike many exercises, the pool provides a soft enviroment for workouts. The water supports the body in every position, which helps alleviate feelings of fatigue because its supporting so much of the body’s weight. In addition, flexibility results due to the wider range of motion the body can achieve due to the absence of gravity acting on the joints. –Like any regular exercise , pool workouts are great stress relievers. The exercise stimulates the brain to release chemicals that make the body feel good. When performing pool exercises in warmer water temperatures, the movement of water against and over the body results in both massage and relaxation. This calming effect can decrease or eliminate the pain resulting from a workout. The benefits of pool workouts are numerous. If accessible, give pool workouts a try to begin an exercise program or enhance an existing program. There are many types of low emission wood-burning hearth products available for new construction and existing homes. The key is determining the type of product, as well as the right type of wood fuel, to meet your needs. All wood stoves and wood fireplace inserts manufactured and sold today in the United States are required to meet strict emission standards and to be certified by EPA. To meet this standard, all stoves must prove emissions of less than 7.5 grams of particulate per hour. All EPA-certified wood stoves and fireplace inserts have a permanent label on the back that bears the name of the United States Environmental Protection Agency. Canada does not have a certification program but does recommend the purchase of EPA-certified products. Pellet stoves and pellet fireplace inserts burn wood pellets made from recycled sawdust and are the lowest emission wood burners available. Because of their very low emissions, pellet stoves and pellet fireplace inserts are exempt from EPA-certification. Masonry heaters are high performance, very clean burning and substantially-sized wood burners that produce a tremendous amount of heat. Similar to pellet appliances, masonry heaters are exempt from EPA-certification. Install an EPA-certified fireplace insert or a pellet fireplace insert into an existing fireplace. 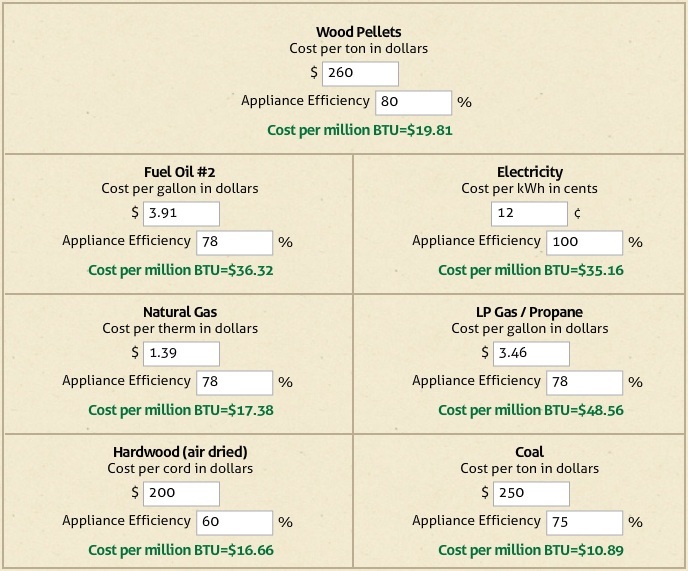 People with older wood stoves and inserts can cut emissions substantially by replacing these appliances with a low-emission hearth product. After changing out an old wood stove or fireplace insert, it is important to take the stove out of circulation so it can never be used again. In some jurisdictions around the country, it is illegal to install these old products. The most environmentally-friendly step is to have these hearth products recycled by a local steel recycler. >USE SEASONED FIREWOOD: Seasoned firewood has around 20 percent moisture content and should be stacked and dried for six months before burning. Seasoned wood is easier to light and will burn more readily and efficiently. The type of seasoned firewood also impacts the fire. Hardwoods such as oak, hickory and elm tend to produce a longer-lasting fire. >BUILD SMALL HOT FIRES: To reduce emissions, use smaller pieces of seasoned firewood and build small hot fires. >START A FIRE WITH A FIRE STARTER: The best way to start a wood-burning fire is with balled newspaper and kindling or a solid fire starter. >USE MANUFACTURED FIRELOGS: Sawdust manufactured firelogs (no wax) are ideal for occasional use in a traditional fireplace to cut emissions. Sawdust-only firelogs can be used in both fireplaces and wood stoves and also reduce wood smoke. >USE HEARTH PRODUCTS CORRECTLY AND PERFORM SERVICE REGULARLY: Consult a specialty retailer about how to use hearth products correctly, follow the instructions in the owner’s manual for the hearth product, and have your hearth product serviced regularly by a professional certified by the National Fireplace Institute (NFI). Great for busy pools of any size or surface type. This system should be used with pools featuruing good water flow through skimmers and/or equipped with a chlorinator. SANITIZE: Maintain a sanitizer level with BioGuard Silk Smart Sticks or BioGuard Silk Sticks. Add every 3 – 5 days to help kill bacteria and maintain proper sanitation levels. OXIDIZE: Maintain a proper oxidizer level with BioGuard Smart Shock oxidizer. Helps restore water clarity and kill bacteria. Helps maintain sparkly, clear water. PREVENT: Help inhibit algae growth using BioGuard’s Smart Algicide® or 28-40 Algicide. Add weekly. Remember, the recipe for easy pool care is to balance the water at the beginning of the pool season and maintaining proper chemical levels throughout the pool season. BE SURE TO BRING IN A WATER SAMPLE TO US EVERY 4-6 WEEKS. CHEAP FUEL THING OF THE PAST? The days of cheap oil have come to an end. In 20 years we’ve seen the rock bottom price of $1 / gal to now almost $4 / gal. Even in an election year we didn’t see the price of oil drop for very long. Along with the price at the pump going up, heating bills are starting to push to astronomical levels. Who would think that every 5 years we’d see a dollar jump in #2 heating oil costs. What about in the next 10 years? HOW DO YOUR PELLETS STACK UP AGAINST THE COMPETITION? Pellets are NOT all created equal. So how do you know that you’re really getting the most bang for your buck? Until now there really has been no report or guide on what you were getting. 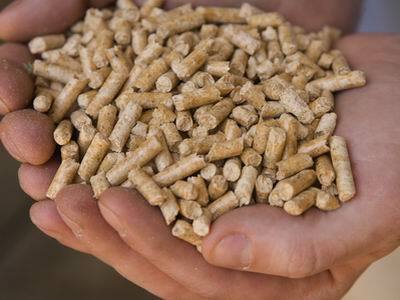 Woodpellets4me.com has an online guide to help you choose your pellet fuel. 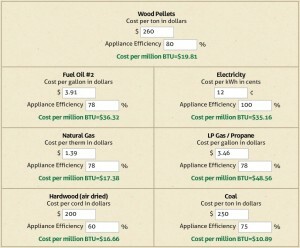 LOOK AT THE COST PER MILLION BTUs!!! !